Biker Witch T-Shirt - Time are changing and witches too, a bike replaces the good ol' broom. 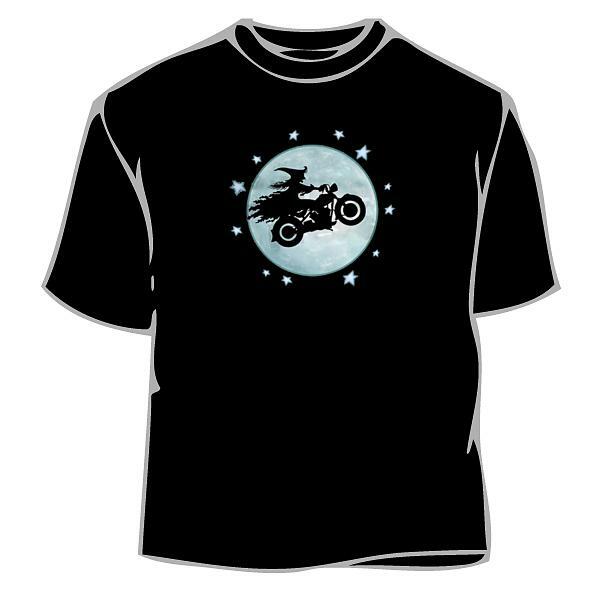 The Biker Witch T-Shirt is under the Novelty Halloween T-Shirts section of our store. 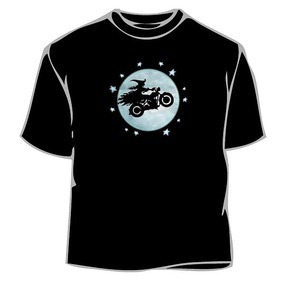 In a very popular design, this Novelty Halloween T-Shirt features a witch riding a bike into sky. As one of our cool and comfortable tees it makes a great gift for someone who likes . This design is printed on a 100% cotton premium quality blank shirt. Our Biker Witch T-Shirt is incredibly comfortable and it is made to last. Our Novelty Halloween T-Shirts are made in colors and sizes that are sure to provide a best fit to your needs. If you have any questions or suggestions regarding our Biker Witch T-Shirt or any of our other let us know the name of the product and details of your question in an e-mail.